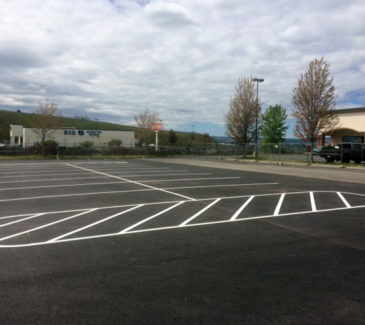 AEC was contracted by Cascadia Associates, LLC to perform the decommissioning of two (2) 20,000 gallon double-walled Glasteel II gasoline USTs, dispenser islands, associated piping materials, canopy, and kiosk building at the former Safeway Fuel Center in Lewiston, Idaho. One of the 20,000 gallon tanks was compartmentalized and previously held midgrade and premium gasoline. Following mobilization, AEC supplied and installed 6’ security fencing to enclose the work area. 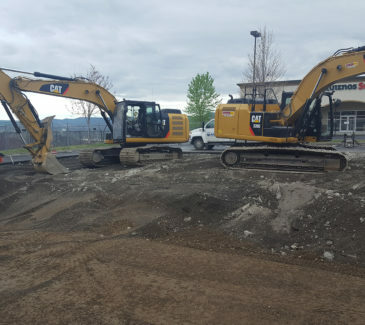 Crews performed erosion and sediment control, stormwater run-on and run-off controls for all excavation and demolition areas. 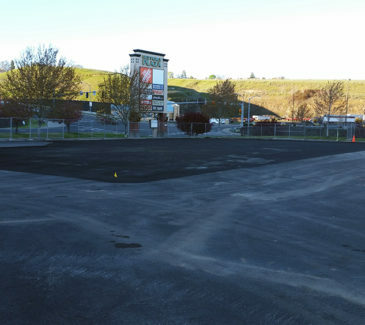 The controls were in place to prevent stormwater from entering the excavation areas and included berms, trenches, pumps, and/or geomembrane covers. Next crews excavated and stockpiled the uncontaminated overburden soil to be used later for backfill. All unsuitable soil materials were loaded and transported, to a Subtitle D landfill for disposal. 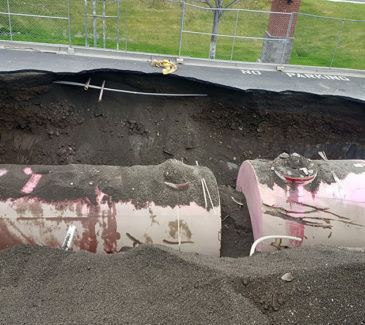 Next, AEC performed the decommission and demolition of the underground storage tanks (USTs), which included the locating and disconnecting of electrical service, saw cutting and removal of concrete, and the removal and proper disposal of tanks, product lines, and canopy. UST sludge and fluids were collected via pump and disposed of at a licensed disposal facility. Following backfilling activities, crews demolished the dispenser islands, canopy, and kiosk, including the concrete slab and foundation. We segregated the materials and disposed of all demolition at an appropriate recycling facility. All asbestos and lead-based paint removal was performed by licensed abatement contractors and met the project specifications and state and local requirements.